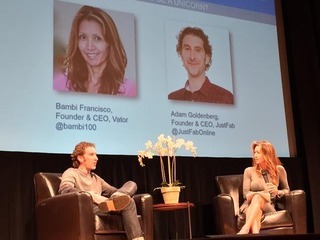 At Vator's annual Splash Oakland event, Adam Goldenberg, co-CEO of JustFab, sat down with Bambi Francisco, founder and CEO of Vator to talk about his company, its future and how he built JustFab to where it is now. JustFab has had a lot of success. It has raised $300 million, and is a so-called "unicorn" or a company with a valuation of over $1 billion. (Read more about Goldenberg's thoughts about that here). And part of that success has been from staying true to its vision. One of the big trends in retail in the past few years were "flash sale" or "deal of the day" companies, which are exactly what they sound like: they sent out daily e-mails, with short-term deals for customers to take advantage of. Francisco asked Goldenberg if he was ever tempted to go this route. 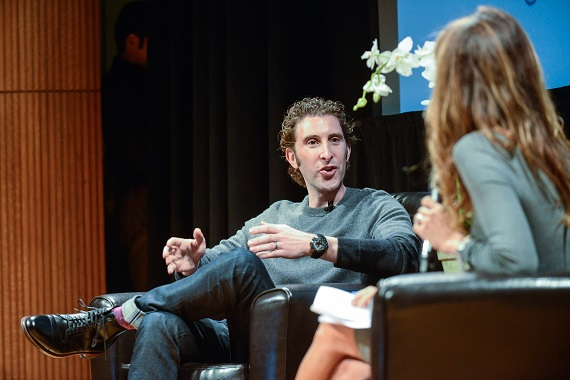 "There's been a lot of commerce companies out there. They have flash sales, which have been big in the last five years. And one of the challenges for a startup is to not follow every shiny ball and one thing that JustFab didn't do was follow this flash sales trend, which was very popular. VCs were throwing money at it, so what did you think about flash sales? Were you tempted? A lot of guys in the commerce space were getting funding and did you even consider it, or did you say, 'We can't go there'?" she asked. "For us, we never considered it. Dermstore predominantly sold other people's brands and that was tough because we might be competing against Amazon. So we knew that we wanted to build our own brand – so we never thought about changing our business model or chasing after shiny balls." Later on, he made it clear how he feels about companies that try to pivot themselves, after he was asked about the decisions that he felt were key toward becoming a unicorn. "That allowed us to own enough of the company that it made sense to raise a very large amount of money. So I think that was one very key decision," he said. "Really going all in, believing in what you’re doing, and putting your own money into it, whether that's $50,000 or $1 million, depends on your situation, but having your own cash, and skin in the game, was important." The other big decision was staying on track. 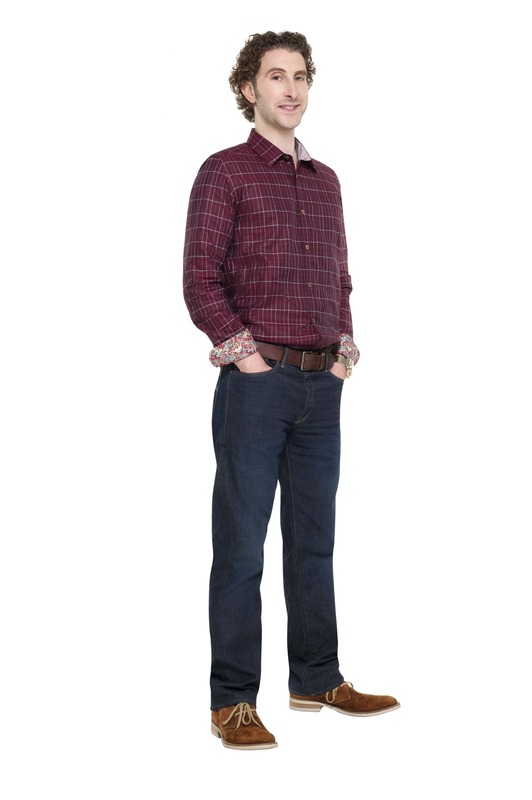 "So I think you hear a lot of talk about, 'Oh, all these great pivots.' I generally believe that pivots don’t work," he said. "There are exceptions, but before we bought Shoedazzle, Shoedazzle dropped their whole VIP membership model. And our board was saying, 'Oh my gosh, should we do the same?' And I said, 'Why would we do that? Our customers are really happy, we're getting great return on our advertising, let'snot do something just because someone else is doing it.' So we really tried staying true to our original vision." Would be have pivoted if he was in flash sales though? Perhaps not, as Goldenberg called flash sales "misunderstood." "I think a lot of flash sale companies are great companies, they just may not be as large as some of the early investors envisioned." Even Fab, a company that was once valued at $1 billion, but sold for $15 million, he didn't think was a good example of flash sales not working. "I think Fab's an outlier. I think it's a great example of all the things you can do wrong, but I don't think there was a problem with the flash sale business," he said." I think in Fab's case there was an executional mistake. There was raising too much money too soon and I think what happened they raised so much capital they felt had to build a $3 to $4 billion company. And the size of their opportunity was probably more like $300 or $400 million. There's nothing wrong with building a $300 million company. That's phenomenal." He pointed to all of the "great flash sites," but the key is "raising the right amount of capital at the right valuation." "I don't think Fab is a good case because they never had good fundamental economics. They were paying way too much for customer acquisition, and waiting way too long for return on investment. They just raised so much money as compared to the size of their business, they felt the need to pivot, to change, to try to grow faster than their business could." Fab is on a mission to help people better their lives with design. Fab was founded by serial entrepreneur Jason Goldberg in February 2011 and launched on June 9, 2011. Fab’s founders are Bradford Shellhammer, Nishith Shah and Deepa Shah. Fab’s headquarters are in New York. The company also has offices in Berlin, London and Pune. Over 6 million people around the world use Fab todiscover everyday design products at great prices, to connect with the world’s most exciting designers, and toshare their favorite design inspirations.